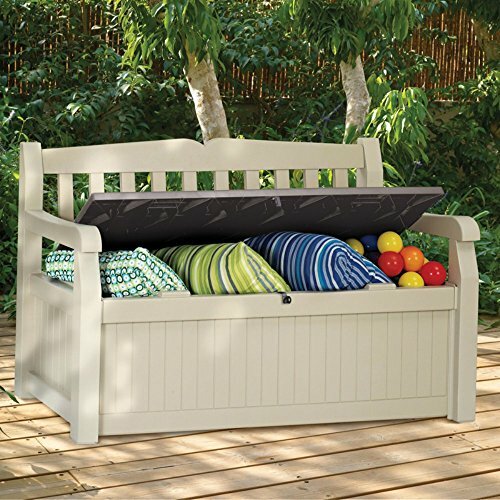 Will Not Warp, Crack or Leak – Guaranteed: Perfect outdoor storage for the yard, patio, pool, camp and boat. 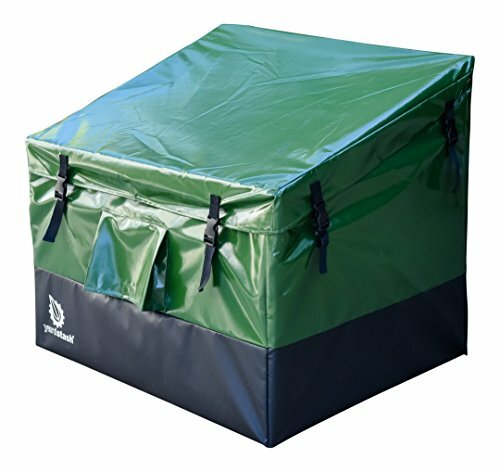 Built from heavy duty, weatherproof tarpaulin with welded seams and an internal pole frame. Easy Assembly and Portability: Quick and easy 15 minute assembly and take down (no tools required). Lightweight (11 lbs.) for convenient portability. Splash proof mesh front vent to increase air flow and prevent mold and mildew. 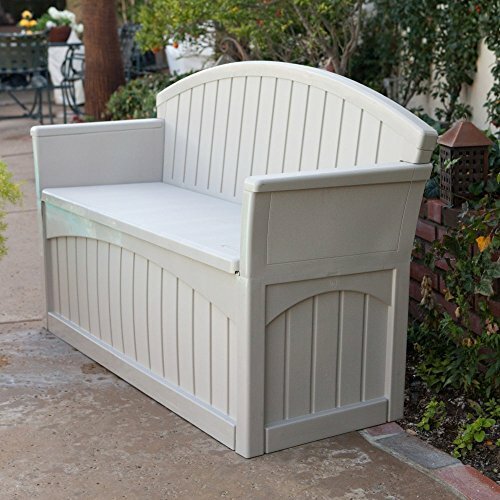 Space-Saving and Portable Size for Stashing Your Outdoor Stuff: 31 inches wide x 25 inches deep x 28 inches high. 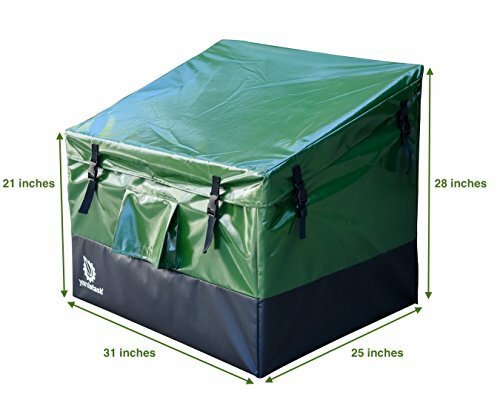 Weatherproof materials, internal pole frame, and a patented water shedding lid design with adjustable straps for long lasting protection from Mother Nature. 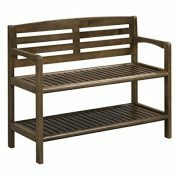 Another high quality outdoor storage product from YardStash! 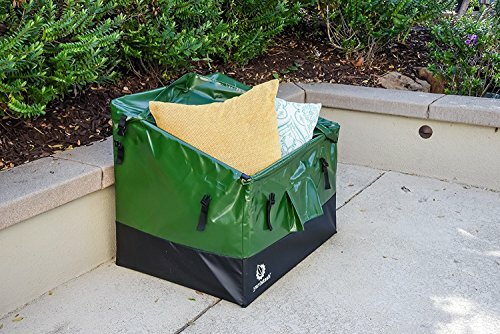 More durable, versatile and portable than plastic deck boxes, the YardStash Outdoor Storage Deck Box Medium is built entirely of weatherproof, tear proof and UV proof industrial grade vinyl tarpaulin that will not warp, crack or leak. 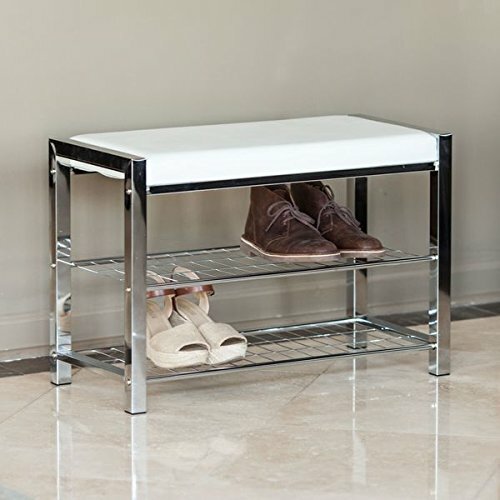 The space-saving, portable size (31″ long x 25″ wide x 28″ high) is ideal for storing patio equipment, outdoor furniture, cushions, garden tools, camping gear and other outdoor stuff. 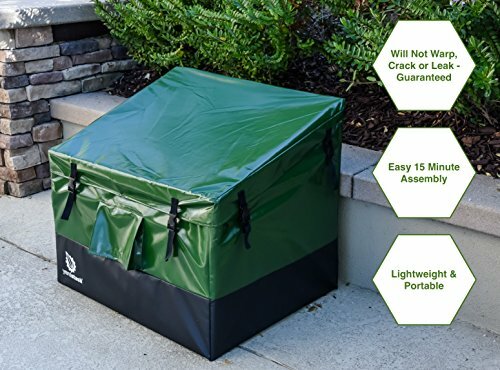 Featuring rugged weatherproof materials, a patented easy-to-assemble design and lightweight construction for convenient portability, the YardStash Outdoor Storage Box Medium is a versatile alternative to bulky plastic deck boxes. Compare with Plastic Deck Boxes: Lightweight, portable and easy to assemble. 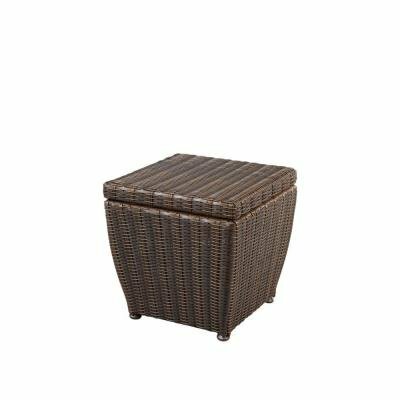 Versatile size for outdoor cushion storage, toy storage, pool equipment storage and tool storage.